Why Read Saul Bellow Now? 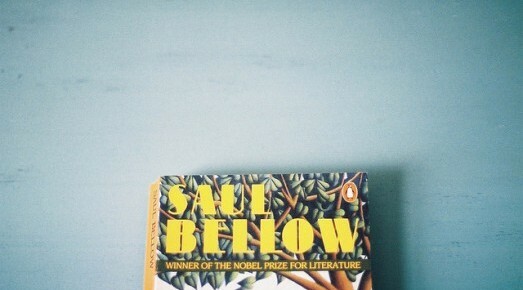 In this blog post Victoria Aarons, editor of The Cambridge Companion to Saul Bellow, details some of the key themes and concepts explored in Bellow's work. Saul Bellow, for over half a century, has been the voice of American conscience. A novelist of difficult and complex ideas, Bellow challenges us to cast a critical gaze upon the encounters and engagements of the 20th century. The “great experiment” that has been America, “the land of the present; its orientation is toward the future,” has provided Bellow with the stage upon which the ambushes and profusions of American enterprise and intellectual life play out their lavish and resourceful escapades (Bellow, “There is Simply Too Much to Think About,” in It All Adds Up [New York: Viking, 1994], 175). To read Bellow is to get inside America, to participate in the theatrical performance of American intellectual life and culture. His fiction exposes some of the century’s major cultural events and preoccupations: the urban experience of European immigrants; the socio-cultural ascendance of an influential Jewish middle-class; the ideological seductions of Marxism and Modernism; the tensions between residual European intellectual culture and emergent popular culture; the fraught failures of the Viet Nam War; the changing attitudes about gender and race; the “culture wars” in 1990s America; the underlying fault-lines of anti-Semitism; and the evolving response and aftereffects of the Holocaust. Bellow’s response to the Holocaust spans four decades and unfolds in three important works, The Victim (1947), Mr. Sammler’s Planet (1970), and The Bellarosa Connection (1989). These novels show with great acuity the changing position of America toward the haunting effects of the Holocaust. These works reflect the shifting perspective through which the past is negotiated and the place of that particular past in a changing American cultural consciousness. The three protagonists of Bellow’s Holocaust novels come to suggest three different postures of such negotiation, and in all three narratives, America becomes the site of negotiations and renegotiations, the stage upon which an assessment and calculation of responsibility is measured. What, Bellow’s protagonists seem to ask, is the appropriate response to this catastrophe? Wherein lie our personal and collective responsibilities? How should Americans see themselves, especially American Jews, in relation to the events of the Holocaust? What have we learned from history, Bellow seems to ask? In Bellow’s Holocaust novels, the reality of genocide is juxtaposed with the defining cultural values of the twentieth century. Bellow moves in these novels from the Jew as scrutinized, targeted outsider to embraced, celebrated sufferer/survivor, to assimilated, reinvented, and largely ignored shareholder, a product of American capitalist and commercial entrepreneurialism where even memory is commodified. The essential question for Bellow, throughout his career, involves the complexities of responding to and living in a post-Holocaust world. What have we learned from history, Bellow seems to ask? Have time and circumstance provided any sort of perspective on the events of history and our own obligations to the past? Such meditations have implications for contemporary discussions in and out of the academy on lingering issues of identity, memory, and trauma. Reading Bellow now puts the 21st century in critical perspective.